Olamide Paid My “Shake Body Video” Bills. Those we’re the touching and revealing words of the ex EME act. 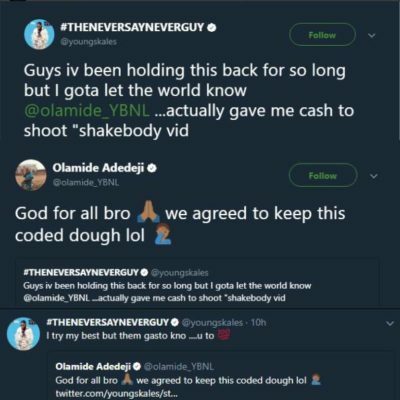 He made the revelation on his twitter handle that the YBNL boss Olamide paid for his video. Below is a screenshot from the tweet.